Congratulations Week 11-02-15 & 11-09-15 Giveaway Winners!! 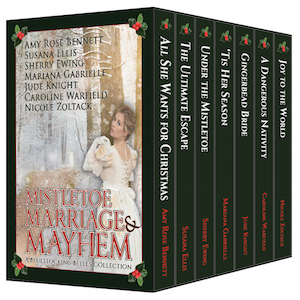 **SPECIAL GIVEAWAY**: Charlene has a giveaway for one of her Karen’s Killer Book Bench blog readers! 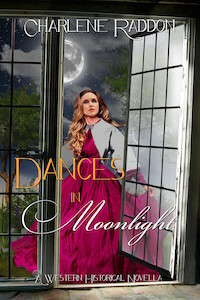 Leave a comment below for a chance to win an e-copy of DANCES IN MOONLIGHT by CHARLENE RADDON. Thanks again, Charlene, for sharing your book with us! Karen’s Killer Fixin’s with The Bluestocking Belles Amy Rose Bennett, Susana Ellis, Sherry Ewing, Mariana Gabrielle, Jude Knight, Caroline Warfield & Nicole Zoltack!! **SPECIAL GIVEAWAY**: The Bluestocking Belles are giving away a gift swag that includes a Christmas ornament, a print copy of THE BLUESTOCKING BELLES’ GUIDE TO A GOOD TIME and other author swag to one of their Karen’s Killer Fixin’s blog readers! Thanks, ladies, for sharing your stories and recipes with us! **SPECIAL GIVEAWAY**: Comment on the following question for a chance to win a $5 Amazon Gift Card I am giving away next week!! 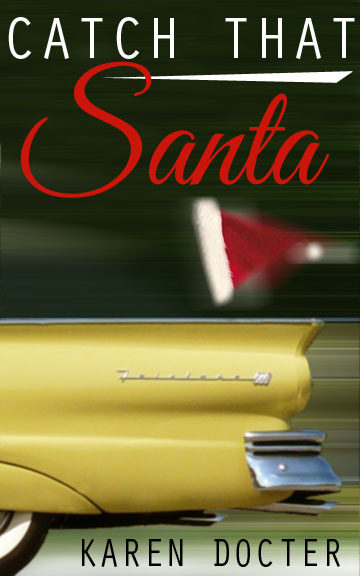 What is your favorite childhood memory or holiday ritual you enjoyed with your family? Happy Reading! 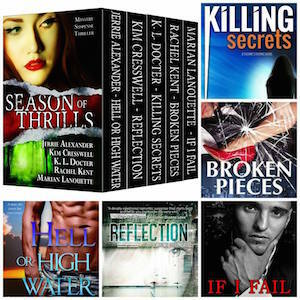 Karen’s Killer Book Bench with K.L. DOCTER!! **SPECIAL GIVEAWAY**: Comment on the following question for a chance to win a $5 Amazon Gift Card I am giving away next week!! 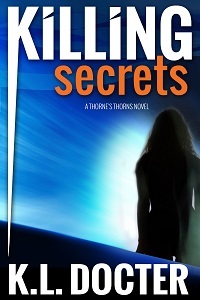 There are actually two villainous characters working their machinations in Killing Secrets. Name your favorite villainous character in a book or movie or TV, and tell us why you enjoy him or her. Happy Reading!! Karen’s Killer Fixin’s with KRISTINA KNIGHT!! **SPECIAL GIVEAWAY**: Kristina is giving away an e-copy of any of Kristina’s backlist books to one of her Karen’s Killer Fixin’s blog readers! 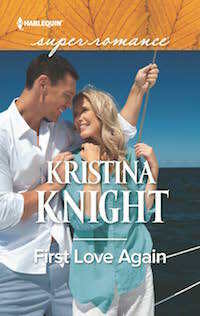 Thanks again, Kristina, for sharing your book and recipe with us! 4 Responses to Congratulations Week 11-02-15 & 11-09-15 Giveaway Winners!! Wow! Two in one contest?!! I’m so lucky and kind of embarrassed at winning two prizes! Thank you! To all Karen’s readers, you never know when you’ll be the chosen one! Keep reading, enjoying and entering! Thank-you so much, I am looking forward to reading this!